- Yarn - My favorite yarn to use is Red Heart with Love. Any worsted weight yarn will work though, especially a variegated yarn! - Hook - Because of the nature of this product, you can really use any hook you like (just remember the bigger you go the bigger the holes will be). I use a size 5mm or H Hook. *sc in first st, sk 2, 7dc in next, sk 2* repeat around. (You should have 9 shells now. Cut 3 - strands of yarn 80"-100" (whichever color you want on the handle). Fold them in half and tie them together at the top. Now that it's folded, you should have 2 strands of each color. Separate the colors (or if all one color, separate into 3 groups of two), and braid them together. Tie it off at teh end. Use some thread and a sewing needle to sew it on the bag. Sew through the knot a couple of times and then sew up an inch or so on the handle to the inside of the bag on the sides. Gahhh, these are so adorable!! I wish my girls were older (they are only 1 lol), and I would totally make these for them! I'm not crafty at all, but you make it seem so simple. Thank you! 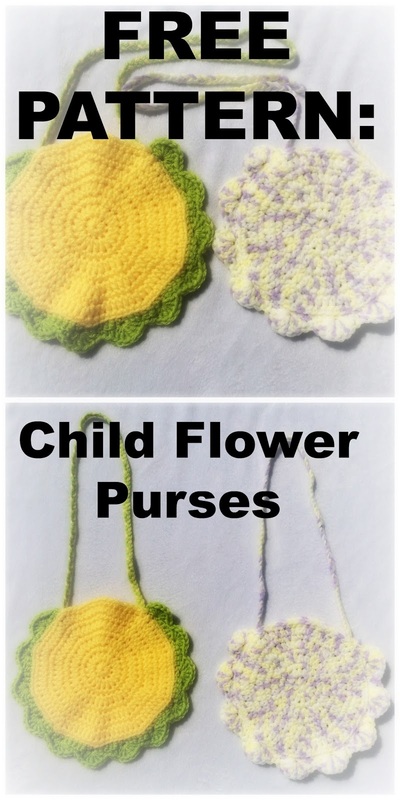 I think I made them for my youngest daughter when she was 2 and she loved it! I am in love with those elephants. I love the personal touches of making these yourself. What a talent. 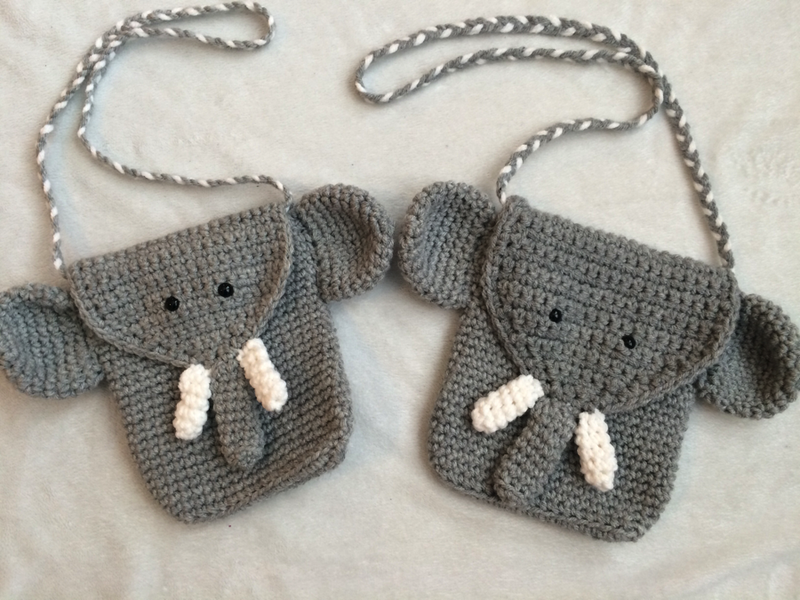 It seems like Elephants are so popular right now! Thank you for the comments! Those elephants are so adorable! I am not a crochet person though. Thank you! Crochet isn't for everyone, I know, but I just love being able to create things from yarn! I love the dog bags! And the colors in the flowers are awesome. If I had kids, they would love these! nice stuff in here, i loved this when i was much younger as i grew up doing it with my sisters, but with your post, there is this hunger for me to go back and learn a few things about it over again and try and see what i can come out with, i love your designs by the way. and also the colour variants are all cool. I learned when I was younger as well! Many youtube videos later and I love crocheting so much! Oh my gosh, I love these. The owls are my favorite! You are so talented. Thank you so much! My youngest daughter was really into owls when I designed that one. these are so cute! my girls are very into purses. and for whatever reason they think they need the brand name purses ( the ones being the glass) but only when were at the store. but when were home it's fair game. Ha! Good luck with that! LOL My daughter got a coach purse from a family member when she was like 2, but I barely let her use it. Those are so adorable! I need to send these over to my sister-in-law. She would love this. Does she crochet? It's always great to know someone who crochets! The elephant purse!! OMG too cute!! I wish I knew how to crochet.. I find it so difficult. I loooove those animals! Cant decide which one i love more!! PUPPY? OR ELEPHANT? maybe tge owl. Cuz they are tooioioooooo cuuute! Those are really cute purses. I especially like the dogs and owls. The last time I called myself trying to crochet... I was wrapped all the way up in and it didn't help that my puppy got into it... but this is more my speed and I think I can handle this project... Happy Mother's Day! Haha! Sounds like an adventure. These are definitely fun to make! 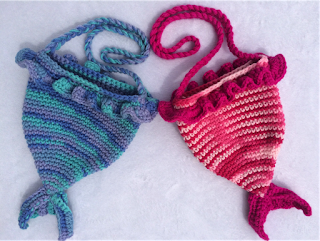 These crochet purses are SO cute!! 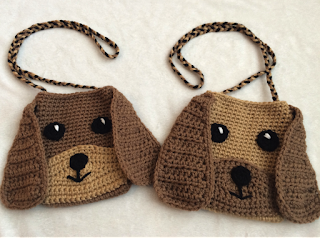 My girls would love to have an animal crochet purse. I'm always amazed at the different things you can make crocheting. It's definitely not just blanket and scarves anymore! There are some awesome designers out there that come up with amazing products. 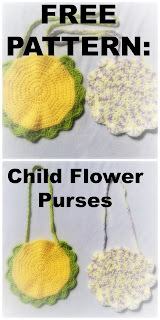 Right now I love creating these new purses. These are adorable! They would make a great birthday gift! That's a great idea for sure! My nieces are gonna love these! Girls of all ages seem to love these, so I'm sure they will! They are functional and cute, so they are perfect! Thank you so much. 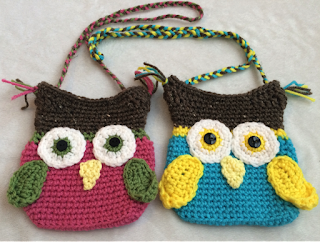 You should crochet! It's fun! These look fun. I've been meaning to learn to crochet, it looks relaxing. It is! I love doing it at night when I'm watching tv...it keeps me awake! Yes they seem too! I'm excited to make more animals too. Very cute projects! I know both my girls would love these. Thanks for sharing. What did you use to make? Thank you! I have fun designing them. I wish I had the skill and patience to crochet. This is beautiful. It does take a little bit to learn it, but once you do it's fun creating new things. Did someone make it for you? That's great that you remember it. Its super cute right? I sell them in my shop if you're ever interested! I got started learning to crochet but didn't get very far before I had to put it aside for other projects. It's still on my list though!